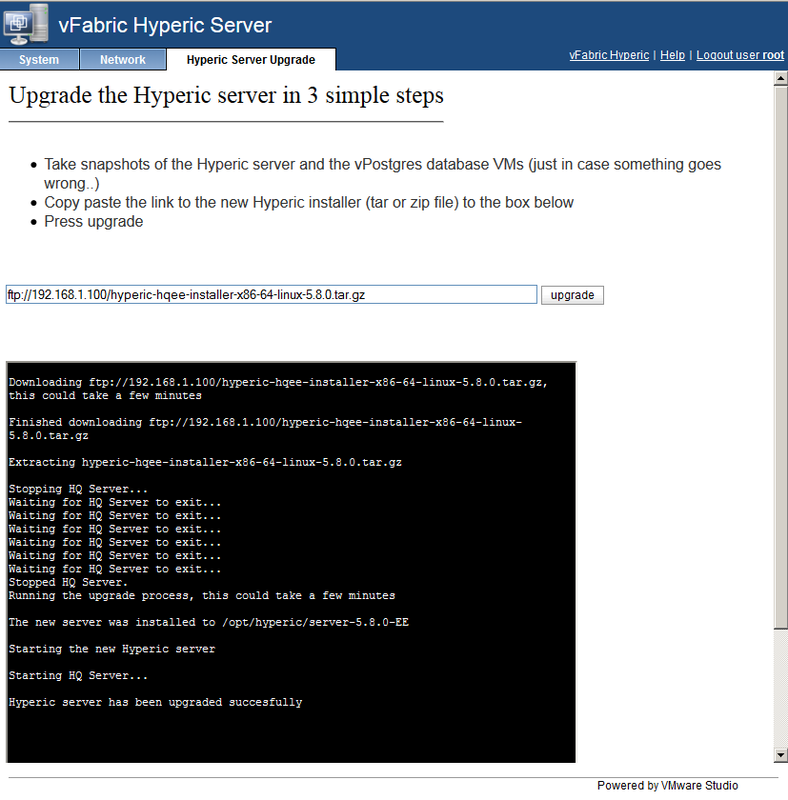 VMware released a minor upgrade for Hyperic yesterday - release notes are here. Starting with the 5.0 release, VMware made a vApp version of Hyperic available. If you have deployed a previous version of the Hyperic and want to upgrade I have already documented the steps in a previous post - see here - but you will need the 5.8 package of course. Be sure to grab the hyperic-hqee-installer-x86-64-linux-5.8.0.tar.gz from VMware downloads - the screen cap below shows the exact listing in the file downloads area that you will need. There's another file for Linux, the RPM, that won't work.